If you love running, you would know that there is a big event coming up in Cape Town soon – yes, we are talking about the 12 ONERUN! If you haven’t heard about it, keep reading as we talk about how some of the greatest athletes will be taking part in the event that is sure to be a popular one. In fact, there are plenty of Betway enthusiasts who are betting on who would win the event from now! In the upcoming FNB Cape Town 12 ONERUN, South Africa’s Kesa Molotsane and Nolene Conrad are confirmed to represent the country. Challenging them, will be Stella Chesang of Uganda, the recent 10000m Commonwealth winner. The South African female runners are openly welcoming this challenge, saying that international competition in the form of Stella Chesang will help them in performing better. Kesa Molotsane will be new to the 12Km distance of the road race and seems to be looking forward to it. They expect a lot of surprises in the upcoming race. Their titles and achievements have put them in a favourable position to compete this time with high energies and enthusiasm. The eager fans are expecting nothing but the best performance, motivating the runners to make them proud once again. Kesa Molotsane rose to fame after winning 11 races in the year 2017 alone. In 2018, she won the SA Cross Country Trials held in January, a 10 Km road race held in Cape Town in March and one in Port Elizabeth held on 5th of May. She also won the 5000m and 10000m titles in SA Students Athletics Championship held in April. She is a rising star among the runners of SA. 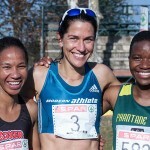 Nolene Conrad participated in the World Half Marathon Championship held on 24th March in Valencia, Spain. She finished at the 25th position, winning the prestigious IAAF Gold Label. 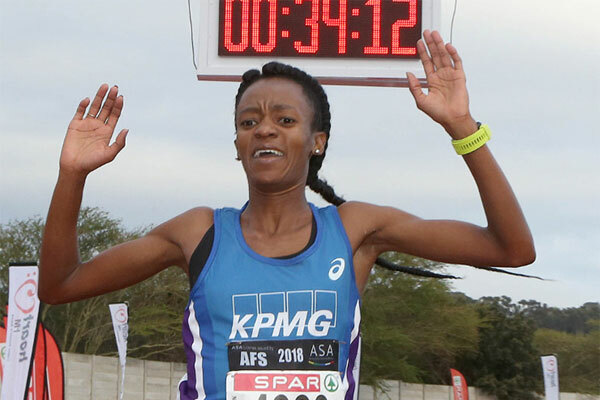 She also won the Two Oceans Half Marathon held in March 2018. Some of the other participants in this championship will be Christine Kalmer, the Phalula twins and Glenrosa Xaba. The participation of three times Grand Prix winner, Irvette van Zyl is still unsure due to her pregnancy status although she really seems to be looking forward to it. The FNB Cape Town 12 ONERUN is a road running event covering a distance of 12 Km. It is not the longest of athlete events for sure but it is definitely among the better ones. Athletes would start off from the Woodbridge Island, Milnerton and head to as far as the Bree Street, Cape Town. So, what would you love about the event? For one, it is the most furious and passionate road racing event featuring runners from across the country. This year’s event will mark the participation of international athletes as well. It is not just another racing event. The Cape Town 12 ONERUN marks the celebration of the vibe and culture of the city with thousands of people pouring in to participate in the festivities.